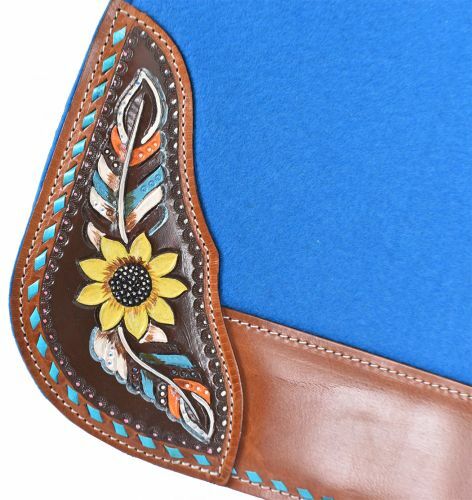 Showman ® 31" x 32" x 1" Turquoise felt saddle pad with hand painted sunflower and feather design. 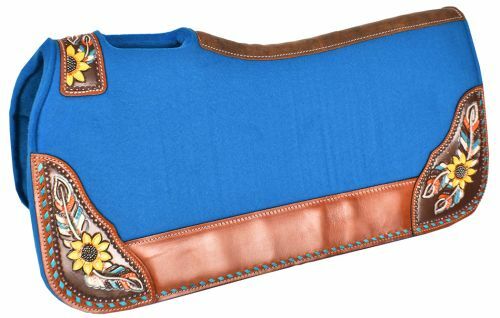 This pad features 1" thick, heavy duty turquoise felt with vented wither, leather reinforced spine and over sized wear leathers. 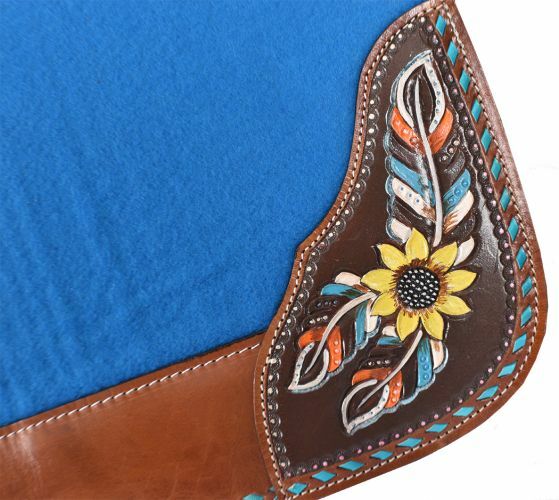 Wear leathers are accented with hand painted sunflower and feather design.